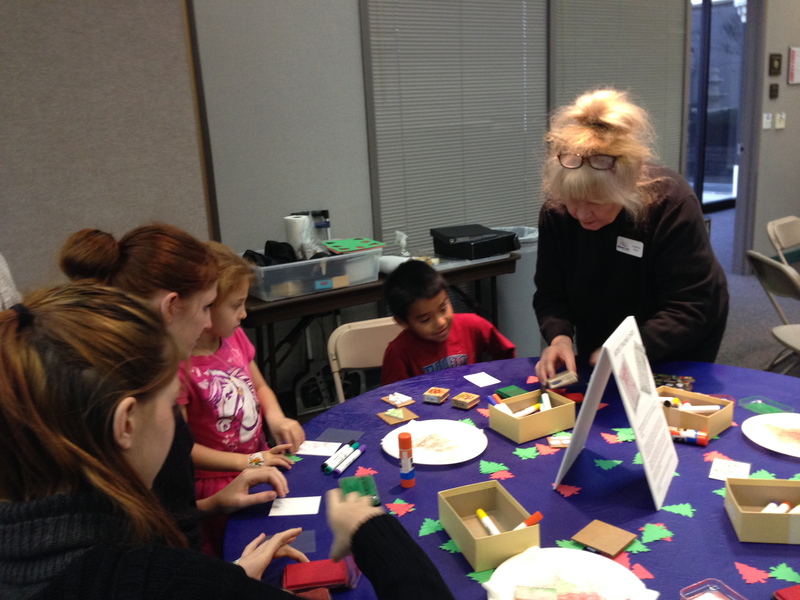 Each year the Irving Art Association participates in “Christmas Card Workshops” for children at the Irving Arts Center. 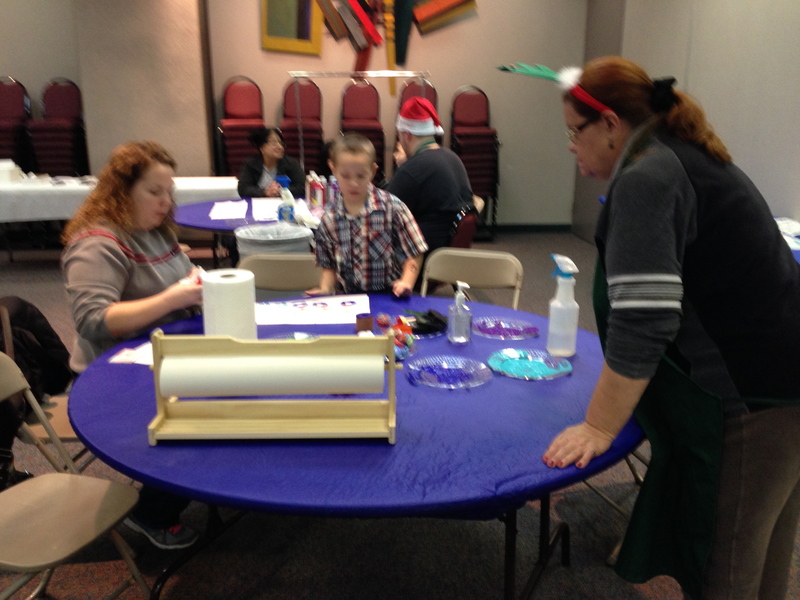 We do a number of Christmas-themed crafts besides the cards, including face painting, ATCs, and prints. This year I bought the materials for making wrapping paper and this was a big hit. 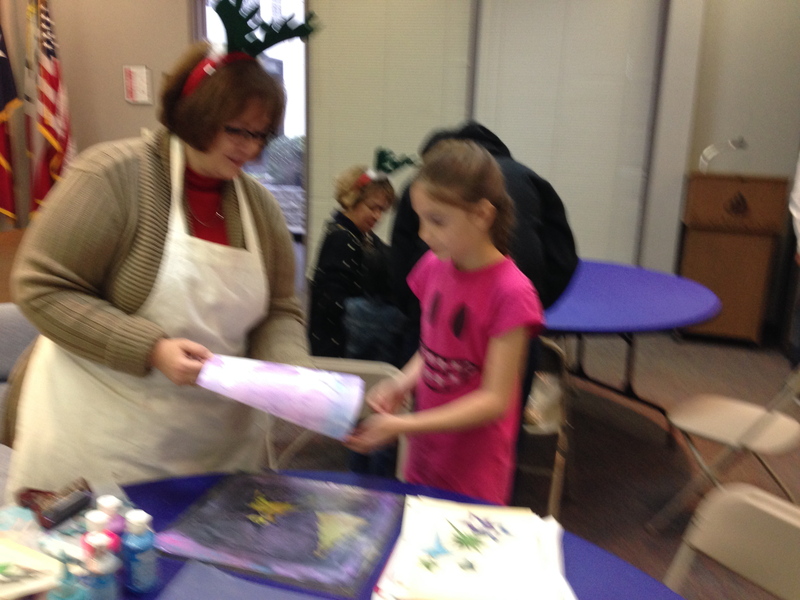 Last Christmas and this year, I did gelli plate prints using tempera paint with the kids. This year Linda Shotwell assisted me. We used holiday-themed masks that I had created and stencils we had purchased. Lots of fun!